It’s bright and sunny, getting the best light in the house, and also the one closest to our bedroom. I was pregnant by the fall, and the nursery transformed from a Pepto Bismol-pink monstrosity to the pale blue little guy’s room that Oliver enjoys today. Down the hall was another room: lime-green walls, purple carpet. Dark purple. A third bedroom above the garage was set up for guests while the middle bedroom — now affectionately dubbed “The Hulk Room” — became a storage space. A very cluttered, nonsensical storage space. When we learned we were expecting our second child, one of my early thoughts — aside from, you know, oh my God — was the need to transform this dumping ground of childhood memorabilia and outgrown baby equipment into a haven for Baby No. 2. Until we learned she is, in fact, a she, we were toying with the expense of replacing the grape purple carpet — but given a little lady is less likely to find it bothersome, we decided to keep it and save the money. It’s a bold decorating choice, for sure. “Preparing the nursery” is a rite of passage for expectant parents — even if “the nursery” is nothing more than a corner of their current bedroom or family room. No matter. Babies need love, nourishment and a safe place to sleep. Truth be told, Baby Girl will likely be sleeping in a bassinet in our room for the first six-ish months of her life, just as Oliver did. Still, I feel this pressing weight — this nesting need, I guess — to get her bedroom ready. Spencer painted the walls last week, instantly transforming the space from eye-assaulting Hulk chic to calm, placid gray. We chose a color called “Comet Dust,” which seemed just right for encouraging this girl to dream big dreams. I have no problem with pink. I grew up in a bright-pink bedroom with bright pink accessories, bedding and feminine touches, and I think pink is upbeat and fun. But I wanted something else. Taking the walls down to that subtle gray has completely transformed the space — just as we hoped it would (no carpet replacement necessary). My husband was up late painting, so I didn’t see the final results until the next morning — and in that weak light, standing there before Oliver called out in the room beside this one, I thought, Yes. This will work. I’ve spent hours browsing for artwork for these fresh, neutral walls. I want to adorn this space with hope and love and optimism, just as I did with Ollie’s. Oliver’s room was completed during the month he spent in the NICU — a welcome distraction and a focus for my anxious energy. But this time? Well, I’ve seen what can happen if you wait too long. I feel better have items checked off the ol’ to-do list as soon as possible. HomeGoods is a good place to kill time and paychecks, and I ran there last week on a lunch break to “look around.” I was there for a curtain rod, actually, but it’s impossible to leave with just a curtain rod in a place like that. In the children’s decor section, the blue/pink contrast is stark. Boys’ items on one side; girls’ on the other. For boys, of course, are step stools covered in footballs, “Travel the world!”-style posters, ceramic trains and robots. And for the girls? Ballerinas and princesses, pink fur-lined lamps and handheld mirrors. To be honest, I was there to inspect a castle. My mom texted me a photo of a canvas print featuring an ornate princess castle the day before, and the bright purple was similar to our carpet color. I found the castle. It was pretty. And big. Large enough to fill half of one of those blank, blank walls. But then I saw the map. I’ve always been fascinated by geography — other places, other cultures, other lives. I won a globe in elementary school and used to spin it as hard as I could, letting my finger fall on some far-flung place I’d then look up in my world atlas. What and who would I find in Korea or Cambodia, Jamaica or Portugal? Maps hold a strange fascination for me — and this one is bright. Bold. It’s playful and unique — unlike any I’ve seen before. At $40, it was a little more than what I’d wanted to spend; I’ve been doing pretty well finding items at thrift stores and on clearance at Michael’s. But I fell in love with it. This map spoke to me. I knew that if I left it there, I wouldn’t stop thinking about it until I’d returned . . . and would probably find it gone. So that was it. I hadn’t bothered to take a cart at HomeGoods, so I shouldered it all the way to check-out: a very pregnant lady on a mission, waddling with the world in her arms. I don’t know if baby will care about geography, or world history, or physics, or Jane Austen. But I want to believe she and her brother will find more inspiration in a world map than they would in a princess castle. Despite being terrible at math, I tend to find patterns in numbers and place (too much?) stock in their importance . . . almost to a superstitious degree. Even when I know being order No. 18 — my lucky number — in a restaurant is just a coincidence, I can’t shake this feeling that it “means something.” Though the something? As yet to be determined. As of Monday, I am 28 weeks pregnant. With Oliver, I gave birth at 32. So if I were to follow that same pattern, I would be giving birth to my daughter in less than a month. I’ve done a good job of not losing my mind during the last six months, but approaching that number — 32 — is making my palms sweat. Flashbacks of the last few weeks I was hospitalized while expecting Oliver keep flying back, and all those old memories — our corner room in Baltimore; the doctor finally telling me we couldn’t go home; getting steroid shots to help his lungs — bring the panic back anew. But this time is not that time. My blood pressure has been fine . . . low for me, even. I have no symptoms, no other issues that could be attributed to anything other than just feeling big and tired and worn down, partially from the pregnancy but also from chasing Oliver — now 20 months — around the house. I’ve started nesting. Post-Christmas clean-up combined with this almost physical urge to work on the new baby’s nursery has me whirling around the house like a tornado. According to ye ol’ Fitbit, I logged more than 5,000 steps on Monday and barely left the house. On a regular work day, I’m lucky if I hit half of that. I am on the move. Moving helps me stay out of my own head, for one. More than once lately I’ve snapped awake from a nightmare about pre-term birth, about being back in the NICU. I’ve blocked so much about those early days with Ollie out, but it filters back at strange moments. Being in my third trimester with this little one is definitely whipping memories up from the murky waters into which they’d sunk. But I’m trying to be OK with that, too. I’ve done a lot of emotional work to move forward from April 2015. I’m trying to focus on what is going right this pregnancy — everything, so far — instead of went so wrong the last time. And anyway, more than anything, we do have a healthy son. And I am here. And we are here. And our family is strong. This is a ramble. But it’s 2017, a fresh year, and I’m as big as a house (and getting bigger) and my brain is … well, it’s hard to form coherent thoughts these days. Last night I fell asleep at 8 p.m. and I can’t get out of bed without a tuck-and-roll technique I’m still mastering, so everything feels weird right now. 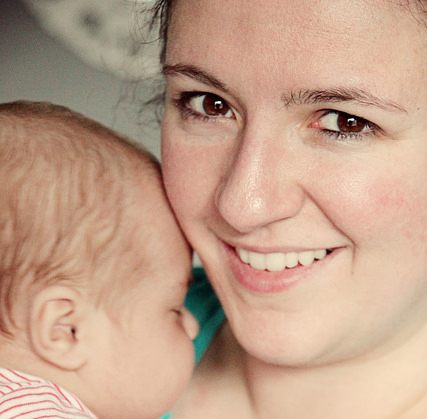 Before I had Oliver, I was terrified of childbirth. We took classes and I read books and countless blogs and thought I was “prepared,” but then I was induced at sunrise on an April Sunday two months early and I was … well, I was not prepared. But it didn’t matter. In the end, is anyone prepared? Can anything really prepare you for parenthood — how it will build you up and break you down and sneak up on you with its moments of pure joy and pure exhaustion, fear and beauty all centered on one tiny little body? I’m not ready to give birth again, but I will soon be ready to meet our daughter. I have some things to tell her. And I can’t wait. We watch a lot of children’s programming. And by “a lot,” I mean a lot. When you have a baby, no one tells you that in addition to sacrificing relaxed meals out, using the bathroom alone and getting out the door in 30 seconds, you will also be giving up your television. Want to watch “This is Us” with a glass of red in a dim, peaceful living room? Or catch up on the morning news will sipping your first cup o’ joe? Forget it. Like: just get that image out of your head now — for a few years, at least. For us, Oliver rotates between a steady diet of “The Muppets,” “Sesame Street” and “Mr. Peabody and Sherman.” PC (pre-children), I didn’t know “Mr. Peabody and Sherman” even existed . . . and as the story involves time travel and encounters with famous historical figures, let’s just say I’ve also learned quite a few things about history myself. Watching a movie 1,376 times will do that to you. Every now and then, however, kids’ shows really come through for you. The lessons we learned as children can sometimes get lost in the shuffle of daily life: advice to love others, be kind, do unto them as you would have done unto you. Be neighborly. Be compassionate. Extend a hand. It’s been a long week. Regardless of your political leanings, I think it’s fair to say this presidential election has been exhausting for all of us. Waiting for the returns on Tuesday night, I nodded off for an hour and woke to the news that Donald Trump was close to clinching victory. For president. Of the United States of America. I’ve been grappling with feelings of sadness and anger and confusion all week. I barely slept on Wednesday, and hardly at all on Thursday. But today is Saturday. The sun is shining. Spencer and I just learned that our second child is a girl — we’re going to have a daughter, and Ollie will have a little sister. We owe it to them and ourselves to push forward, stand tall and reach out to one another. No one and nothing can make us hate one another — not unless we allow those seeds of hostility and hatred to plant and grow between us. I don’t walk around in a state of suspicion and judgment, and I want to believe my neighbors do not, either. Not in our America. And it is ours — all of ours. Spencer and I will be raising our daughter to walk alongside her brother. We will be there to nudge her forward when she feels weak, and to remind her that a chair always waits for her at the table. Ollie and I watch “Sesame Street” videos when I’m trying to write and he wants nothing more than to paw at my laptop. As I was trying to answer emails this morning, our background video with Bruno Mars kicked on. Sometimes the universe delivers just what you need . . . in the form of talking monsters. I won’t question it. I’ll just embrace it, lace up my sneakers and get going. Growing up, Saturdays at the beauty salon were a way of life. My mom has always been faithful about her monthly haircuts. I spent many a morning sitting with my sister in the reception area of Diane’s beauty shop, the smell of perm solution and chatter of adult women part of the soundtrack of my childhood. It was an adult’s world in the salon — a grown-up world, a sophisticated world. A place for gossip and transformations. I loved seeing the women enter with pin-straight locks and emerge from a loud contraption with luscious curls. Watching the stylists work their magic, setting it all with a halo of hairspray, I was pretty mesmerized. When Katie and I got too old for my mother’s trims over the bathroom sink at home, we, too, began seeing Diane for our cuts. 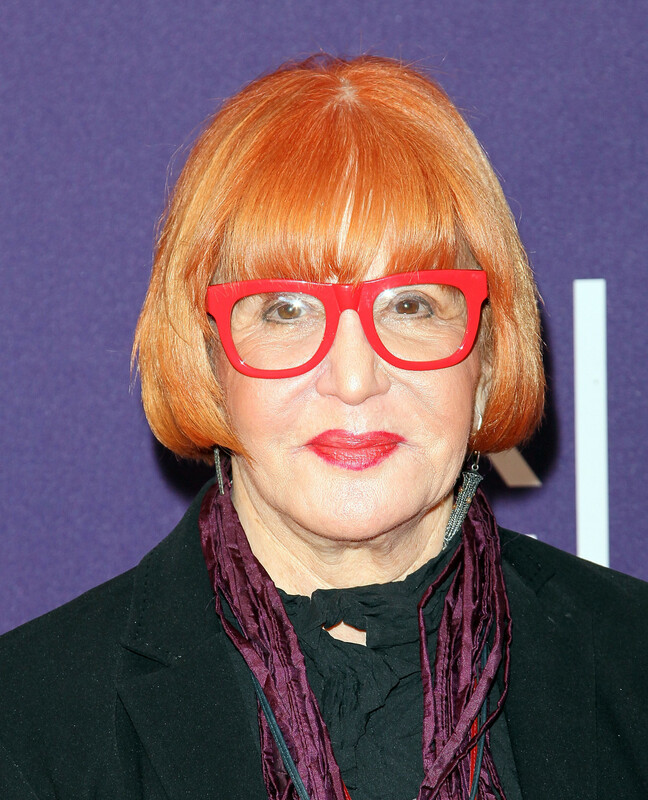 I don’t remember the first time I went for a legitimate lady ‘do, but I do remember that with my new bob — circa 1995 — and oversized red eyeglasses, people said I looked like a little Sally Jesse Raphael. Music to a 10-year-old’s ears, as you’d imagine. I have friends who make standing hair appointments every month, showing up to see their stylist like clockwork. Their cuts might not vary, but they’re religious about returning to see the same individual month after month, year after year. At 31, I still go to Diane — but my appointments are . . . well, a little haphazard. As in, I tend to go in when my hair’s length is suddenly making me insane — and I want to cut it right that second. I grow it long; I cut it short. I grow it long; I cut it short. It’s a cycle. My mane is fussy, wavy and frizzy and thick. It’s not curly enough to be cute and sassy, yet far from straight. I once spent time trying to straighten it, and even considered begging my parents to fund a semi-permanent straightening solution as a teen. But later, something weird happened. Today, my hair does what it does and I don’t worry much about it. I’m all about simple, low-maintenance hairstyles — and for me, that typically translates to keeping it long-ish with layers so I can easily pull it away from my face. Which I do. Just about every single day. “Hair down” days have become special occasions. For one? Right now I’m a perpetually-hot pregnant lady, and hair tickling my neck sends me into a sweaty rage. Even on the days I vow to look professional-ish and keep my hair down for work, I wind up scraping it into a ponytail before I’ve even stepped foot in the office. I don’t even use a mirror. You know: just living on the edge. I won’t be one of those people that just blames their appearance on motherhood, but . . . well, as you’d imagine, if I didn’t care a whole lot about my hair before? I care even less now. My morning routine is pretty low maintenance, mostly involving a shower and quick blow-dry before Oliver starts calling from his crib and I have to get both of us out the door. I’ve done my makeup the same way for decades, so I can get that step done in minutes. The easier, the better. Maybe I’ve just . . . given up. Like many teens, I used to page through magazines filled with cute hairstyles and dog-ear pages with looks I loved. But when I arrived at Diane’s for the big hair transformation, the result — on me — would always look . . . off. I never took into account the different types of hair best for each style. When my hairdresser would gently try to steer me away from certain looks, I just dug in my heels. I wanted to look like Natalie Portman! I wanted to be Keira Knightley! How bad could it be? Now in my thirties, I like to think I’ve simply embraced who I am and stopped trying to fight the natural wave of whatever my hair wants to do. It’s a special kind of ridiculous to be both pregnant and going gray, but the increasingly wiry strands at my temples don’t lie. I’m getting close to needing a decision on whether I’ll start coloring my hair, too, but I’ve been hesitant to give in. I mean, plucking the offending follicles will only work for so long. I think I’m creating a bald patch. Ah, well. Nothing a ponytail won’t hide. Do I make these every year? Am I totally, completely OK with that? Now that Oliver is so fun and aware of the world around him, one of my favorite things to do is to drag him to seemingly “ordinary” activities and watch him just … take it all in. They say that to live again is to view the world through the eyes of a child. And I can’t think of any better way to describe that. A fallen leaf, a cardboard box, a Target receipt — all items of intense interest to my 17-month-old, and seeing him try to make sense of these things gives me a fresh perspective, too. Since fall is undoubtedly my favorite season, I’m dreaming of corn mazes and hot apple cider and cozy fleece and pumpkin patches. Last fall I was dealing with some pretty intense anxiety as a first-time parent, and honestly? Autumn was a bit of a blur. But this year? I am better. Gold feels golden again. I am less the husk of a tired mother and more the somewhat-capable, excited and “normal”-ish woman that I remember from so many years ago. There are never enough days in October and November, so I’m not going to worry if we can’t get to every single one of these delectably-autumnal activities. But I’m going to make a concentrated push to fill the family calendar with fun (and funnel cake! ), and to soak up my favorite of seasons with our family of three before we’re zombie people again next year. Visit a pumpkin patch and find the perfect gourds for carving. We always bring pumpkins home, but don’t necessarily carve them for Halloween — definitely want to do that this year. Ollie is going to flip out at the sight of pumpkin guts! Hit as many craft fairs as humanly possible. I spent several days compiling a master list of all the local shows happening this fall for my magazine at work, and to be honest? That “work” was not work at all. Sometimes I open the link just to salivate at the idea of all the fun shopping we’ll be doing. Craft fairs are an annual tradition with my mom and sister, and I am SO EXCITED about these. Check out a corn maze. Many farms here in Southern Maryland open their doors for folks wishing to “get lost” in family-friendly mazes, and Spence and I hit a few early in our relationship. Those are happy memories for me, and I can’t wait to take Oliver. Make hot cider. In a slow cooker. Maybe with this recipe, or this one. Rake leaves and jump in the piles. Ah, to be young again. Roast pumpkin seeds. Our attempt at this last year was a big fail, but I’m convinced we didn’t give the seeds the attention they deserved. This will dovetail nicely with carving our jack-o-lanterns. I’m stoked! So there you have it, friends — our to-do list for the next few months. Anything on your fall bucket list, too? Any additional suggestions? I’m always up for some new autumn fun.